Avoid strong-arming anything under heaven. Where masters live, why do thorn bushes grow? Where armies have been, years of crop failure follow. Those most adept have results, yet stop, not daring to seek better. Have results yet don’t pity. Have results yet don’t attack. Have results yet don’t be proud. Have results yet not complacent afterwards. Have results yet don’t strive. Making matters better as a long-term rule, is not of the dao. Not of the dao ends early. Reading line 7, Have results yet don’t pity, this Sunday was puzzling, and so I considered the literal synonyms. When I read pity, I first felt it as pity for others, and that didn’t make sense. But, then again I can see how it would be possible to pity others for not having the results I had. And from where does that kind of perception arise? A sense of self-importance and conceit could induce an adept person to sympathize with or even pity one less adept. Okay, pity works, but it required me pondering the literal meanings to settle my puzzlement. When reading advice about ostensibly exterior matters, it helps to begin by looking inward. Here, I would read, In using the way to assist in managing [ myself ], Avoid strong-arming anything… All our perceptions of the world ‘out there’ hinge on the makeup of what is ‘in here’. Much the same applies to actions. If I strong-arm myself internally, I probably strong-arm other people out there. Newton‘s third law states that for every action (force) in nature there is an equal and opposite reaction. I find this applies to strong-arming others or myself as well. This thorn bush is apparently a vitex, also known as chasteberry. I don’t know what this has to do with where masters live. Armies compact the soil where they have been and that makes it difficult for plants to grow. In the same way, authoritarians rule stifles creative growth. However, I suppose that is one of the attractions. People like stability and creative growth threatens that, so authoritarian regimes hold the promise of stability. Similarly, perhaps the promise of truly resolving an issue entices people to go to war. These lines sound like prescriptions for life, what to do and avoid doing. Here again, I find it helps to look inward rather than interpreting these lines as advice. Looking inward, I find optimum life balance occurs when I have results, whatever they may be, and move on. I think of a squirrel gathering nuts. It has results, and when the time is right, stops, not daring to seek better. 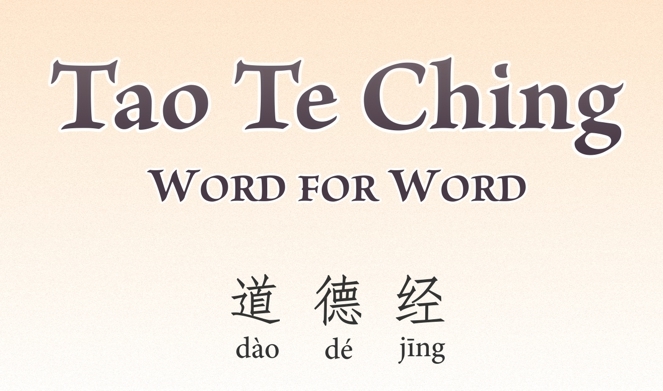 That seems very much the way of nature, the ‘dao’ of nature. What’s the difference between us humans and the squirrel? Imagination is obviously a major difference. We can imagine states of perfection, which then drives us to Make matters better as a long-term rule. Moreover, we have little incentive to question our drive for perfection. In fact, it is just the opposite. We glorify perfection. Why? Civilization is hierarchical, and the drive for perfection is the ladder to climb. That this is not of the dao is clear, yet we have bought into the civilization’s paradigm from infancy. We can see no other way. In our imagination, Making matters better as a long-term rule easily becomes the whole point of life. Living in a balance give and take with nature is very unappealing, particularly if nature is taking from ‘me’ or ‘us’. These four lines above show the result of trading the evolutionarily stable circumstances of our hominid ancestors for the greater comfort and security of civilization. It is important to note that we are the same biologically now as we were a hundred thousand + years ago. Only human culture has evolved. Being biologically the same means we have all the physical and emotional resources (energy, drive) to be living in the wild as hunter-gatherers. Yet, our circumstances provide a high degree of comfort and security. This means that we don’t have a solid survival pathway for our energy and drive to play out expend fully. The instinct is there with no place to run its course. Naturally, it does run its course, just not in down-to-earth survival ways, as would be the case for an hominid in the wild. The problem is this. Once we have results, we’ve not yet expended all the instinctive drive that would be at our disposal in the wild. It has to ‘boil over’. Second for me is the gut intuitive sense that I am a hunter-gatherer hominid without the original circumstances that suited hominid evolution. The question then becomes, give up or deal with it. The survival instinct makes giving up not an option. Line 6 points the way: Those most adept have results, yet stop, not daring to seek better. The key to have results, yet stop, comes down to burning up that excess energy and drive with something that is balanced, health giving, and truly meaningful. The single most vital thing we need to feel is a sense of life meaning. Why do suicide bombers blow their selves up? In part, that sacrifice gives them life meaning. The hunger for life meaning drives much of what we do. Chapter 29’s, With desire choosing anything, of doing I see no satisfied end spells out the problem of any animal choosing anything and not simultaneously constrained (balanced) by natural forces. For us, that would be our ancestral hunter-gatherer way of life. Obviously, we can’t return to those old ways even if we wanted to. Buddha’s Four Noble Truths hint at a solution. Specifically the forth: “There is salvation for him whose self disappears before truth, whose will is bent on what he ought to do, whose sole desire is the performance of his duty”. The ostensible drudgery of duty makes this no panacea. Yet, it is only through duty that we feel grace in the moment. This dilemma evens the odds for all comers, so to speak. You only get what you truly want, and to the extent you truly want it, it is yours. That’s what I call cosmic justice! Or should I say the dao of justice. Now if duty doesn’t feel like a solution, you can always be a hunter-gatherer. Naturally, I don’t mean literally, but rather returning a few small steps ‘backwards’. One factor that kept the hunter-gatherers feet on the ground was the hardship they endured. Consider all the ways civilization has made your life immensely more comfortable and secure. That higher standard comes at a price — increased neurotic worry. ‘Allowing’ myself to endure less comfort and security (as feasible) helps anchor me to earth. This lowering of comfort and security standards makes me more resilient and less prone to becoming neurotic over trivial irritants in life. This is in accord with a long held motto of mine: Short-term pain; long-term pleasure. (For a thorough look at this, see Peeking in on Nature’s Hoodwink ).